Today’s customers are busy. Not only are many working more hours, but they also have more things competing for their attention in their free time. While there are other reasons for personalization, this is one of the biggest. Personalization makes shopping faster and more convenient — two things that are highly valued in today’s society. According to a study of 3,000 consumers in the U.S. and the U.K., more than 70 percent of people say they expect personalized experiences when they interact with brands. Notice the wording there. They don’t desire personalization — they expect it! 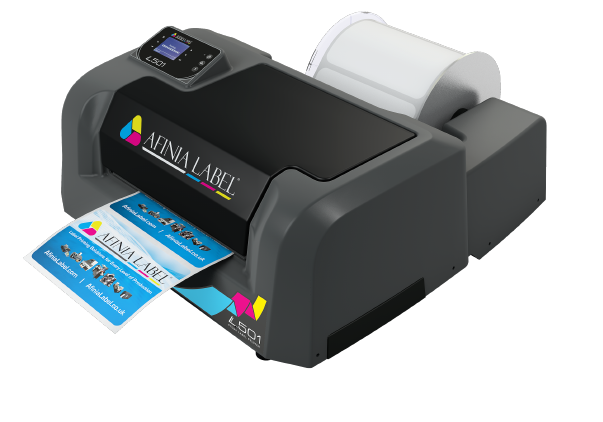 The L501 Label Printer swell as being a all round great Label Printer, is ideal for smaller business wanting to offer a personalisation service as you can print single labels quickly on demand. Why Choose L501 Digital Label Printer? The L501 is the first label printer with Duo Ink Technology, designed to print with both pigment and dye inks. This dual-ink feature allows for a quick transition from dye-based vibrant and colourful prime labels, to ultra-durable pigment-based label applications with a simple printhead swap. Creates vivid, high-resolution text and images for eye-catching labels. Choose the label stock that creates the best look and results for your application. In addition the L501’s ink interchangeability offers a level of versatility no other printer in its class can offer. Eliminate issues and minimise costs of outsourced and sheet-fed labels. Therefore minimising waste by printing only the labels you need, on demand.